The Walt Disney World Resort, commonly known as Disney World, is an entertainment complex located in the U.S. State Of Florida. Dedicated in the year 1971, the resort features various theme parks, water parks, resort hotels, several golf courses, a camping resort, and other entertainment venues, including the outdoor shopping centre known as “Disney Springs”. It was designed to supplement the Disneyland in Anaheim with the intention to present own diverse set of attractions. Today, Walt Disney World is the most visited vacation resort in the world, with an average of over 52 million visitors every year. Kennedy Space Center is one of the top ten National Aeronautics and Space Administration field centres. Kennedy Space Center is NASA’s primary launch centre of human spaceflight. It is one of the most exciting, fascinating, and educational attractions in Florida. Located on the Coast of Florida, this huge complex is a place where exploration has made history. The Kennedy Space Center Complex is the only place in the world that houses a large number of rockets Space Shuttle Atlantis, and other astronomical equipment. The centre is divided into mission zones, each of which displays interactive exhibits that are designed by keeping all ages in mind, providing an interesting experience to the whole families. Miami Beach is a coastal resort city located in the U.S. State of Florida. It is one of the prominent beach resorts of America. The most interesting thing that makes Miami Beach so unique is the Art Deco Historic District. The Art Deco District has the largest collection of Art Deco architectures in the world and encompasses hundreds of hotels, apartments and much more. Also, The famous art deco architecture, with fine dining, spas, and lovely nightlife makes an unforgettable trip to Miami Beach. Everglades National Park, encompassing an area of 1.5-million acres is a wetland preserve located on the southern tip of the U.S. state of Florida. Adorn with the grassy, slow-moving river, the Everglades is a beautiful park that comprises of coastal mangroves, sawgrass marshes and pine flatwoods. Everglades National Park features one of the most diverse ecosystems in the USA and is home to hundreds of animal species. The national park provides an important habitat for numerous rare and endangered species including leatherback turtle, Florida panther and West Indian manatee. SeaWorld Orlando is a marine zoological park and a featured theme park, located in the city of Orlando, Florida. This beautiful theme park offers a close-up look at animals and also offers the best experience of various leisure activities including, roller coasters, rides, shows, tours, natural attractions and moreover, family-friendly activities to thrill and enjoy. One of the most popular attractions in the park includes Manta and Wild Arctic, which combines both the animal exhibits as well as a fantastic ride. The Key West Butterfly and Nature Conservatory, located in the U.S. State of Florida, is a butterfly park that encompasses more than 50 to 60 different species of butterflies from around the world in a climate-controlled and glass-enclosed habitat. The conservatory also includes flowering plants, waterfalls and trees and also several species of birds, such as red-factor canaries, zebra finches, cordon-blue finches and Chinese painted quail. It is a fantastic place that enables the visitors to experience a tropical paradise inhabited by butterflies. 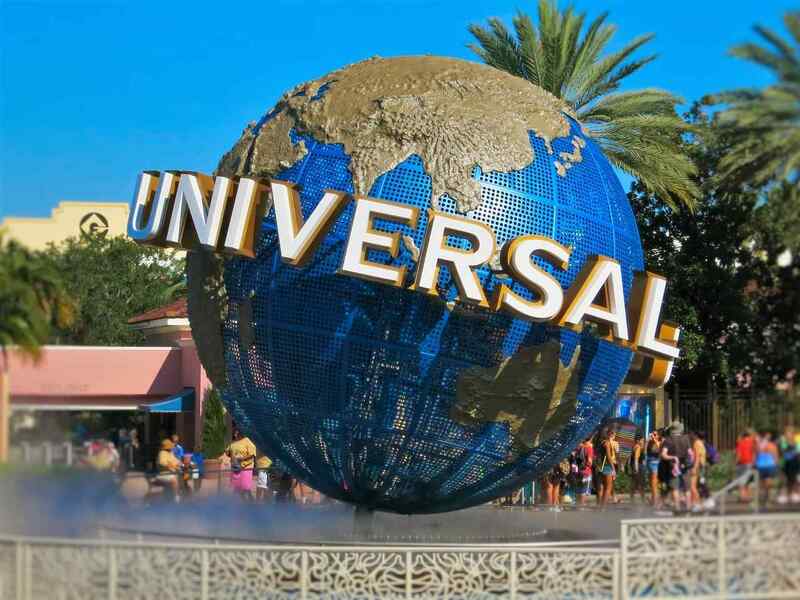 Universal Studios Florida is a theme park and production studio located in the city of Orlando in the U.S. State of Florida. Opened on June 7, 1990, the park is a beautiful entertainment industry with a large number of areas to offer spectacular views to the visitors. Universal Studios Florida also features numerous attractions, such as live shows and one of the most important components of the studio is the larger Universal Orlando Resort. In 2016, the park hosted approximately 10 million visitors, making it the sixth most attended theme park in the United States, as well as the ninth most attended theme park worldwide. Busch Gardens is the name of two amusement parks located in the United States. The original park is located in Tampa, Florida, and another park is located in Williamsburg, Virginia. Busch Garden of Tampa area is one of the most popular attractions in Florida. This beautiful African theme park is home to all kinds of exotic species and is also one of the largest zoos in North America. The park encompasses a vast array of wildlife including, lions, tigers, elephants, giraffes, gorillas, and much more. The park also offers a chance for close-up encounters with penguins, tigers and elephants. Besides, animal encounter, Busch Gardens also features all kinds of thrill rides, but the most popular ride in the park is roller coasters that draw the attention of millions of visitors every year to this beautiful place. The wizarding world of harry potter is a theme area that features the elements from the film series and novels by J.K Roling. This exclusive attraction takes rides on a journey through Harry Potter’s wizarding world. The area features many attractions including, Dragon Challenge, Hogsmeade and also contains many gift shops and restaurants and other tourist attractions as per locations in the Harry Potter’s book to provide a feel of the real wizarding world of Harry Potter. Bayside Marketplace is a fantastic market area located in the heart of Downtown Miami, Florida. As the name suggests, this marketplace is located on the bank of Bay front Park of Miami. Bayside Marketplace is also a festival marketplace that offers the best experience of food, fun, shopping and live entertainment to the visitors all year around. It is one of the most delightful places in Miami that offers spectacular experience to the people especially in the late night hours when the place is adorn with the glitters of colorful light at every turn. These are the 10 tourist attractions in Florida. Do post your comments.